Easy screen capture and screenshot taking. Is there a better alternative to Icecream Screen Recorder Pro? Is Icecream Screen Recorder Pro really the best app in Desktop category? 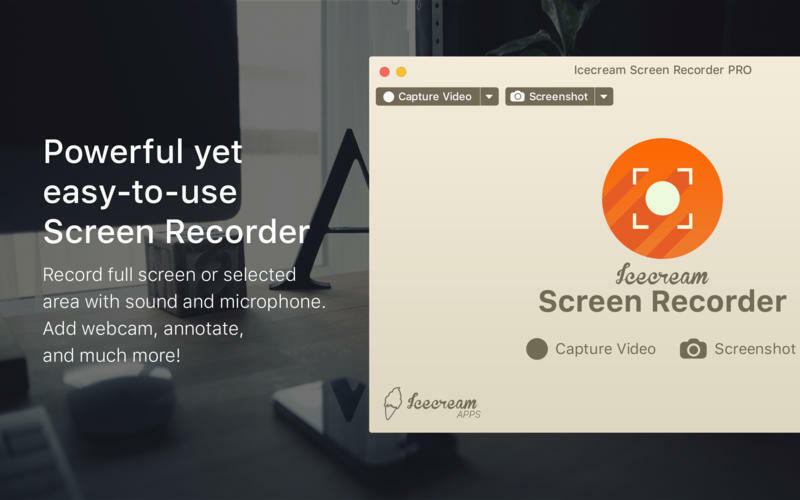 Will Icecream Screen Recorder Pro work good on macOS 10.13.4? 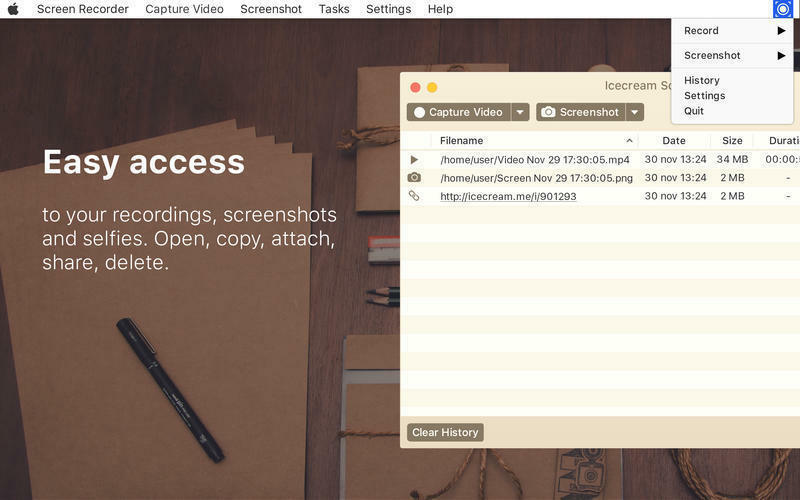 Icecream Screen Recorder Pro allows for easy screen capture and screenshot taking. Users can record their screen with audio in several various modes and add graphic elements (text, arrows, steps, etc.) during the video creation. Screenshots can be saved as images, copied to the clipboard, and uploaded by URL for effortless sharing. Icecream Screen Recorder Pro needs a review. Be the first to review this app and get the discussion started! Icecream Screen Recorder Pro needs a rating. Be the first to rate this app and get the discussion started! 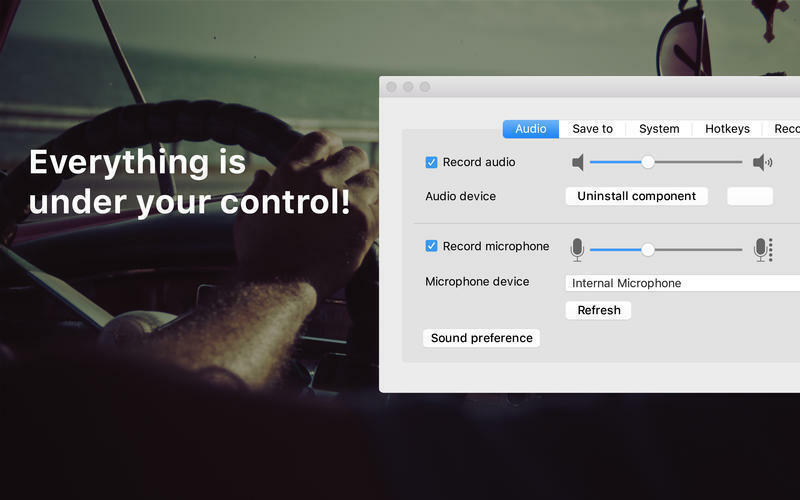 Full screen recording: Record the full screen of the desktop. 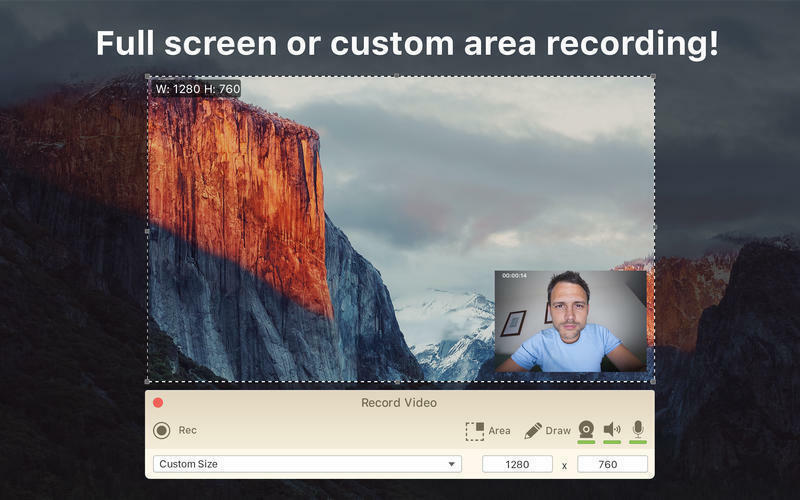 Custom area recording: Manually select the size of the screen capture area. Video format and quality selection: Record screen in MOV or MP4 format and select the video quality. Drawing panel: Add text, lines, arrows, circles, rectangles, etc. 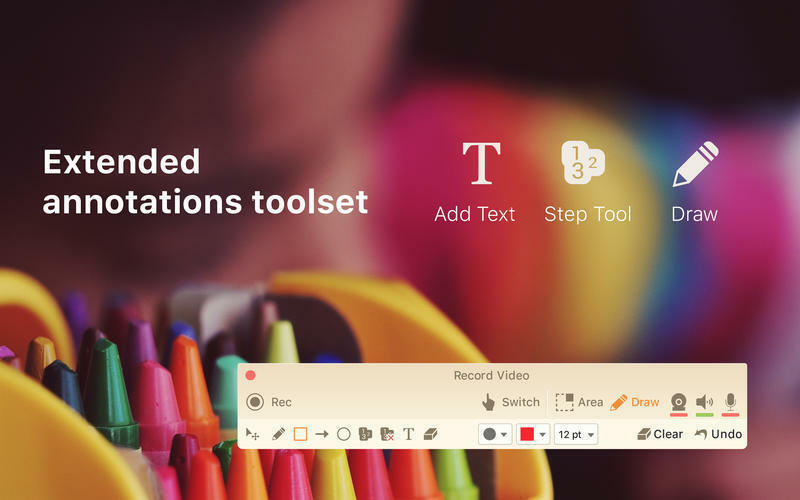 Step tool: Add numbered markers of customized colors and sizes to highlight steps of the videos and the screenshots. Project history: Get easy access to all the files previously created with screen recorder. Screenshot to URL: Upload the screenshots by URL to our server to effortlessly share them online.